Ji-Man Choi has spent this evening’s game hitting the daylights out of the baseball. He dinged a solo dong to right center in the second inning, then followed it up with a three-run shot to the right field corner. 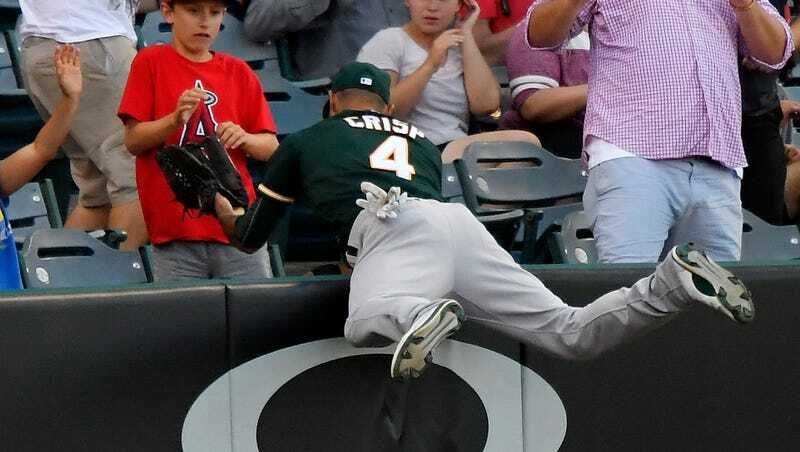 Two innings later, he came calling again, but Coco Crisp zipped to the spot, robbed it, and managed to avoid catastrophic injury while keeping Choi from the hat trick.